Need a holiday gift idea.? 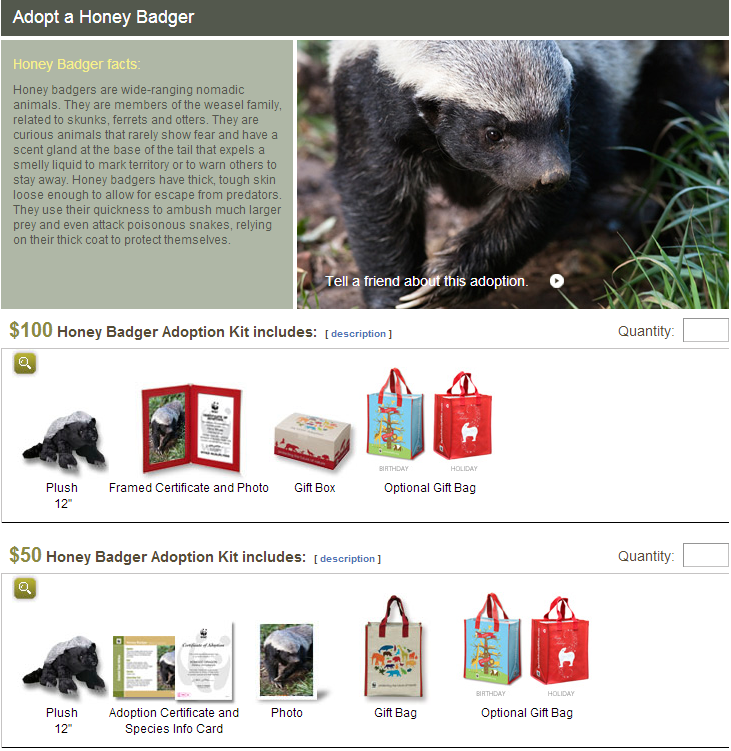 Give a stocking full of Honey Badger. Yeah, the reference is kinda dated at this point, almost 2 years old by the real calendar...which means like 20 years in internet time...but to anybody that has a "Crazy Nastyass" on their Christmas list who "doesn't give a sh#t"...this still works. Plus the money goes to the WWF, which when I was a kid meant Leaping Lanny Poffo and even worse, the Killer Bees, but today means the World Wildlife Fund, so you can feel good giving such a gift...even though I don't know what their opinion is on impaling the mouths of innocent fish with steel hooks and yanking them from the water, (aka fishing)...although one might imagine not favorable. Whatever. It's what dear little Baby Jesus would have wanted, I'm certain. Note: This post was somewhat inspired by the "Pay it Forward" sale going on at Tenkara USA right now. 11' Iwana rods are on sale for $100 (normally $157.95), with $50 of sale going toward various outdoor charities. I was just about to sign up to get a fantastic supply of live fresh fly tying materials when I realised that you do not in fact recieve a "Honey Badger"
Actually, when I spotted the title of the post in my reader I thought a "Honey Badger" meant something totally different however lets not even go there!